MANCHESTER, NH--(Marketwired - Oct 10, 2013) - Newforma, a project information management (PIM) software company integrating people, projects and processes to transform building and infrastructure project delivery, announced today that Norbert W. Young Jr., FAIA, Hon. FRAIC, has rejoined the company's board as industry director. Young brings to Newforma a vast knowledge of the domestic and global design and construction industry at a time when the company is expanding its offerings to construction firms and owners as well as entering new international markets. Young is currently managing director of Duck Cove Associates, LLC, a Maine-based consulting services company. Duck Cove Associates provides strategic planning, business development and business transformation advice and services to growth-oriented owners and contractors. 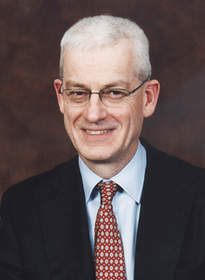 From 1999 to 2009, Young was president of McGraw-Hill Construction, comprised of such prestigious brands as Dodge, Sweets, Architectural Record, Engineering News-Record Regional Publications and www.construction.com. Under Young's direction, MHC was the leading provider of print and electronic products and information services to the $5.2 trillion global industrial, commercial and residential construction industry. Previous to McGraw-Hill, Young spent eight years with the Bovis Construction Group, a global leader in the management of high-profile construction projects. In 1994, he was appointed president of the newly created Bovis Management Systems (BMS), serving the construction and project management needs of private and public sector clients nationally and globally, ultimately active in more than 17 countries. Young is a registered architect and Fellow of the American Institute of Architects. He holds a master of architecture degree from the University of Pennsylvania. In 2005 he received the AIA's Edward C. Kemper Award for outstanding service to the profession. In 2008 he was elected to the National Academy of Construction. In 2007 the Royal Architectural Institute of Canada designated him an Honorary Fellow, and the American Society of Civil Engineers awarded him the prestigious Henry L. Michel Award for Industry Advancement of Research. "Newforma is very fortunate to have Norbert Young back on its board," said Ian Howell, Newforma's chief executive officer. "Norbert has devoted his career to identifying ways the design and construction industry can deliver more successful projects to owners, and we're honored that he recognizes Newforma's contribution to that mission." Newforma develops, sells and supports project information management (PIM) software for architecture, engineering, and construction firms worldwide, and the owners they serve. Newforma is the first industry-focused and integrated solution to connect firms to each other, to their project information, to their processes, and to remote team members, all for the purpose of more successful project delivery. Firms in the Newforma Project Network are using Newforma software to manage information on more than one million projects, raising productivity, reducing exposure to risk, strengthening their brands, and freeing time and attention to focus on design, construction, and client service. For more information about Newforma, visit www.newforma.com, or phone +1 603-625-6212. © 2013 Newforma, Inc. Newforma is a registered trademark of Newforma, Inc., in the United States and in other countries. All other brands or products are trademarks or registered trademarks of their respective holders and should be treated as such.